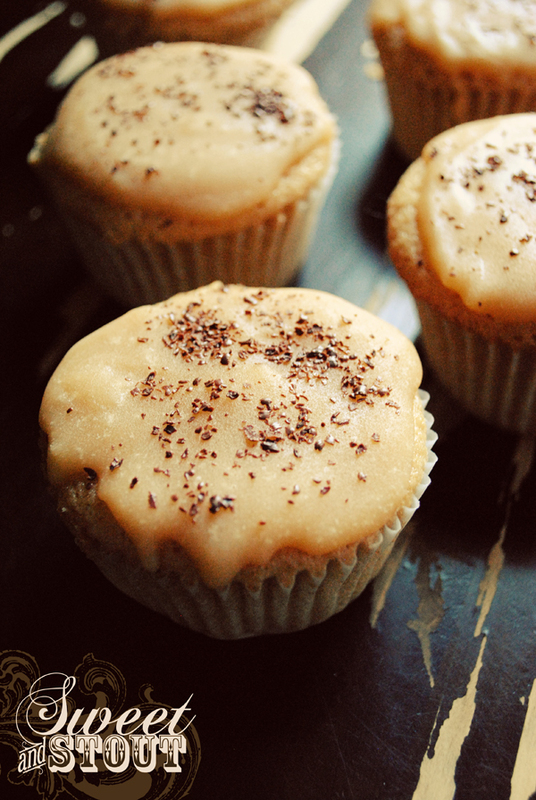 For a topping to go with this delightfully light, but sinfully rich cake, I created a Kahlua butter glaze. The glaze gave me some grief when I was making it though, it kept thickening up on me at the strangest times. 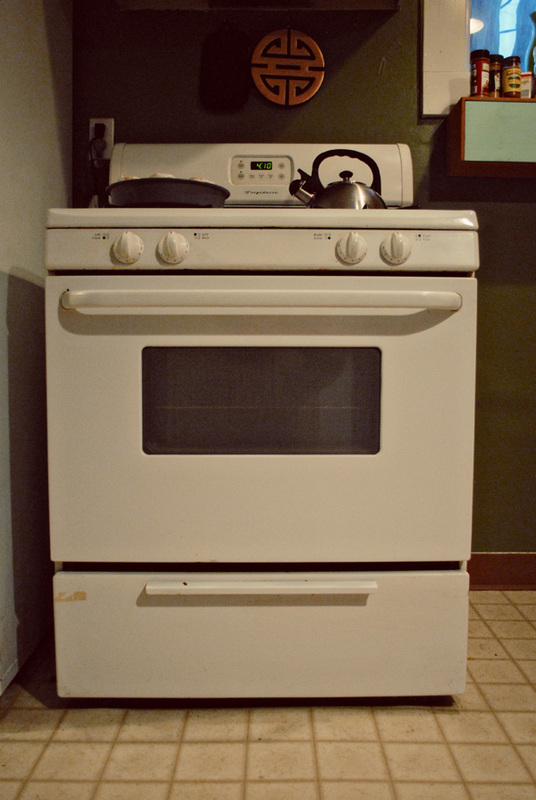 After making it a second time I had it down. 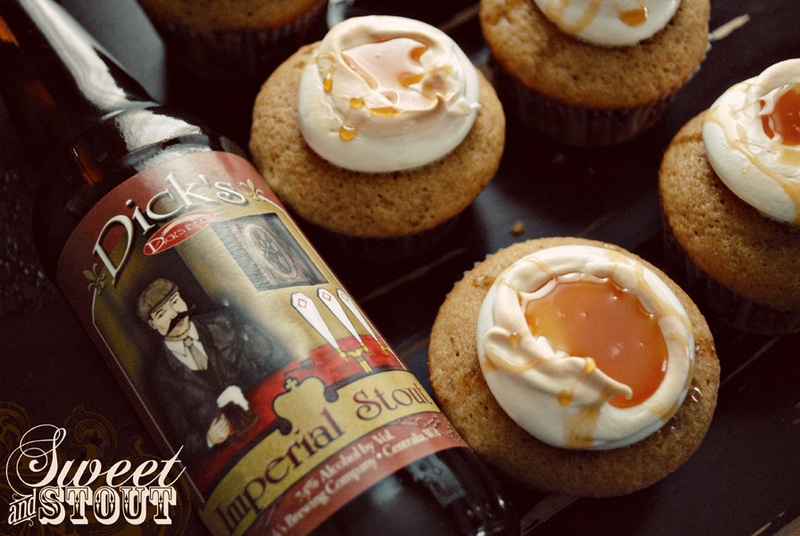 I ran into some of the same problems as we came across with the Black Cherry Ale Cupcakes, mainly the fact that it was in the high 90s and working with chocolate and glazes is nearly impossible without the constant use of the fridge. All in all, I feel that this cupcake turned out well, and am definitely looking forward to having one of these again soon. 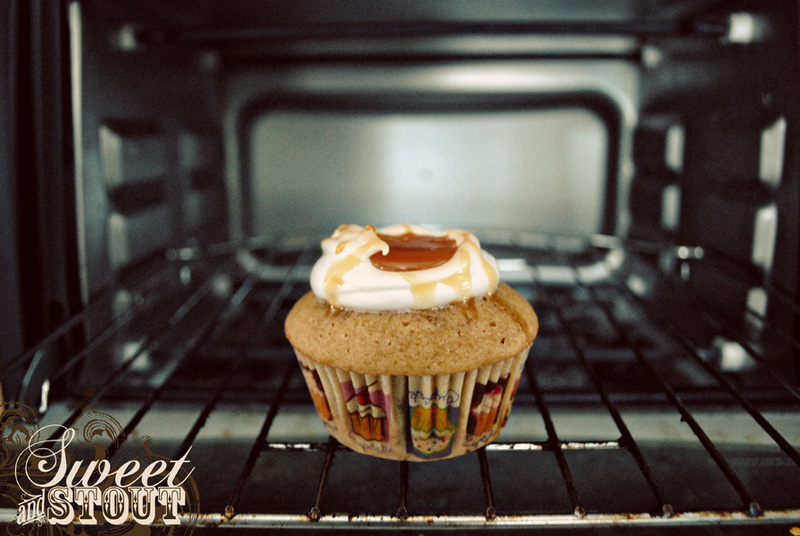 On a different note, I wanted to share with all you beer cupcake lovers an update on where we’re at with our kickstarter campaign. We currently are 66% funded thanks to all of you and your generosity. We still have 27 days left to get the remaining 34% or $565! 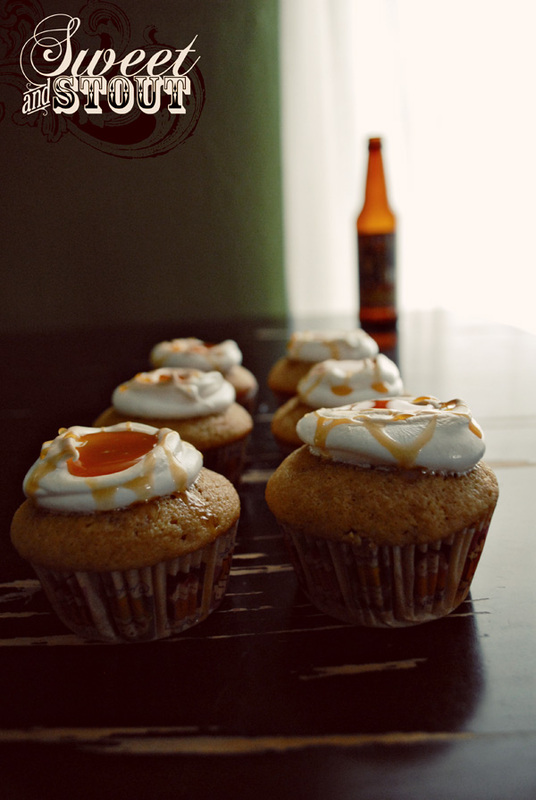 If we are able to reach our goal in the next 27 days we will be bringing our beer cupcakes to the Inland Northwest. We want to thank you again for all your support, we couldn’t do it without you, and if you are looking to donate to Sweet and Stout you can click here. What happens when you take a flavor that all north westerners truly love and decide to turn it into a beer? 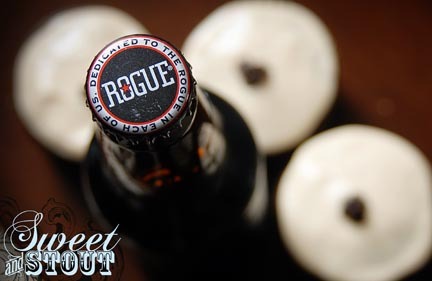 You get Rogue Brewery’s Mocha Porter. This beer is a wonderful blend of malt and hops that leaves you with a creamy mocha flavor that stays with you long after you put that first taste down. A little history of the beer from Rogue states that the: “Mocha Porter was once known as New Porter, in honor of the town of Newport, Oregon and home of Rogue Ales.” They also say the beer was made to be: “dedicated to the chocolate lover in each of us.” The Mocha Porter per Rogue Brewery is said to pair well with desserts and that’s exactly what we did. 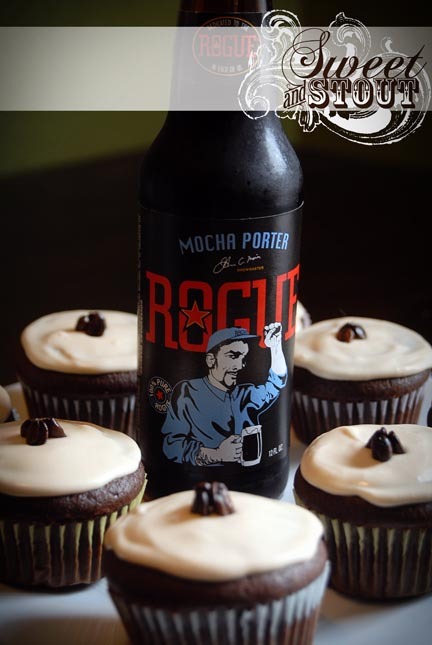 Taking this Mocha Porter, some instant coffee and our talent of creating wonderful cupcakes, we made these tasty looking treats. 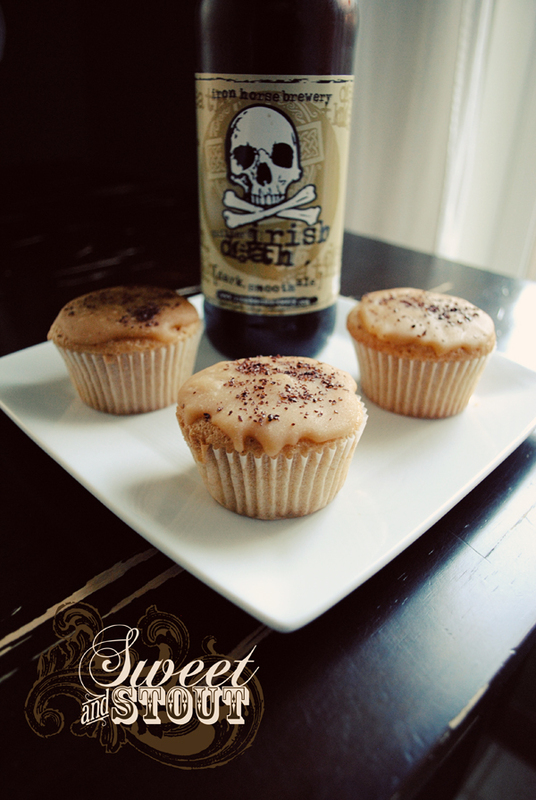 Combining what would be a seemingly innocent idea of a mocha cupcake and adding this wonderfully flavorful beer to the mix made these moist and intoxicating treats. 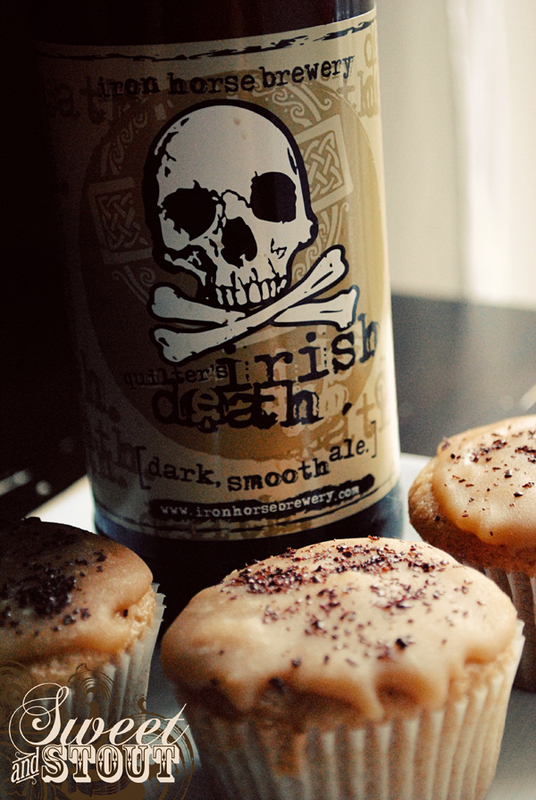 After we had the batter mixed up we both tasted it and decided that we needed to come up with a frosting that matched the richness of the cupcake, so we turned to our liquor collection. 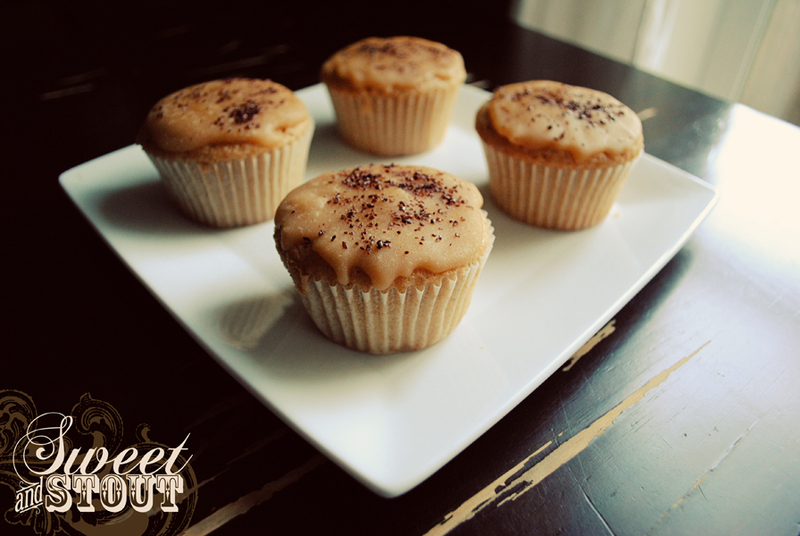 After much consideration and debate we decided to really play up the coffee flavor that the cupcakes where hinting at. 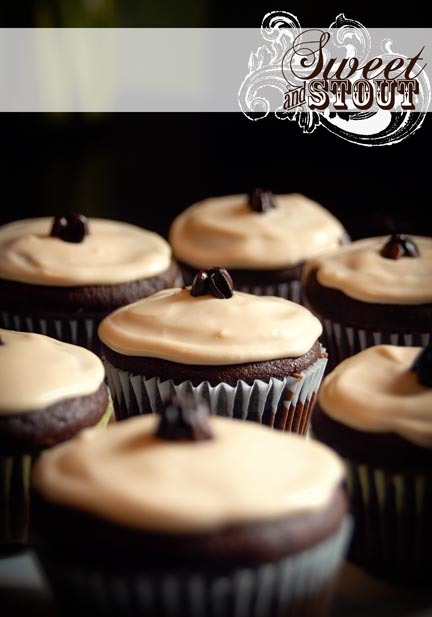 The cupcakes themselves tasted much like a chocolate coffee cake with the robust flavor of the Mocha Porter peaking through the cracks, so how could we boost the coffee flavor? 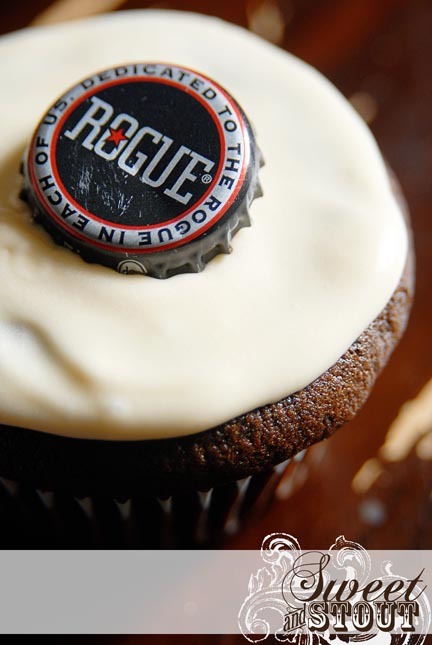 We decided that the best way to do this was to make a frosting that was a mix of Kahlua and Bailey’s Irish Cream. 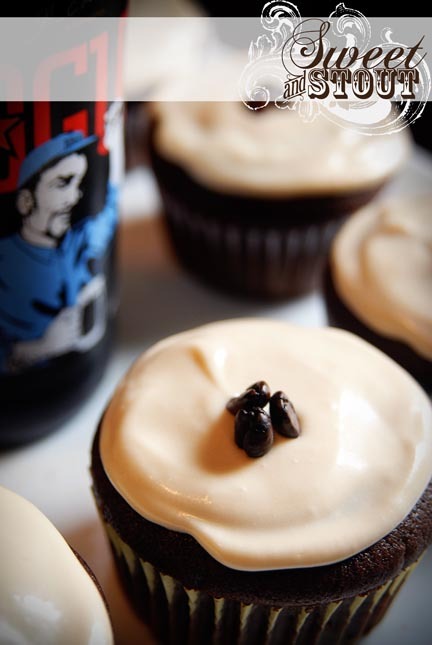 As a final touch we added coffee beans to the tops of the cupcakes as a garnish. We could not be happier with how these came out. 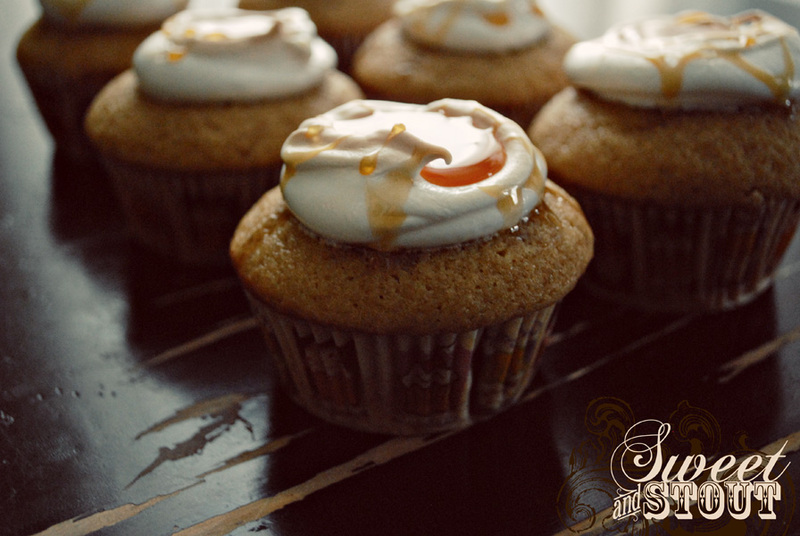 Hopefully you found these pictures as mouth watering as we found the cupcakes to be.